Multivitamin that has been tested for banned substances and developed by the strength coach for the St. Louis Blues NHL Hockey team. Metabolic Meals combines organic, locally sourced ingredients with cutting-edge nutritional knowledge to create meals that help improve health, fat loss and performance delivered right to your door. 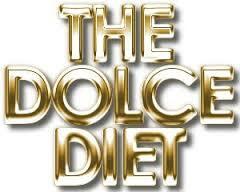 The Dolce Diet is currently used by UFC fighters and pro athletes all over the world. Mike has created a very unique approach to living a healthy lifestyle.